"I enjoyed the practical tips. 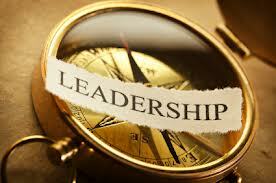 Patrick really understands law firm cultures and was responsive to specific questions and situations." "This was extraordinarily helpful. Much more helpful than a similar event I went to at the Harvard Business School. It has given me some terrific insights that I intend to implement immediately." 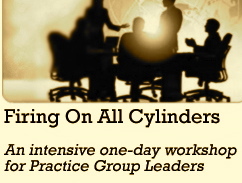 WHY A WORKSHOP FOR PRACTICE GROUP LEADERS? Whether you are the leader of a practice group or industry team, whether this is your first experience in leading a group or the custodian of an especially challenging group of mavericks, you are among the most essential players in achieving your firm's long-term profitability and success . . . But this job is not an easy one! It is your challenge to . . .
- lead effective meetings that result in some action plans being formulated and your colleagues taking responsibility for actually doing something. Obviously there are many challenges inherent to this position as law firms (and their clients) increasingly embrace the application of new economic and structural pillars necessary for the profession to benefit from greater alignment on issues such as efficiency and value. And perhaps you were never trained or given any guidance on how to go about organizing and managing a group of your fellow professionals. So, now where do you turn? This intensive, skills-building workshop is an investment in your ability to make a measurable difference to your group's quality of service, profitability, and professional morale. Every aspect of this experience is designed to provide hands-on checklists, interpersonal techniques and exercises to make it completely applicable for you to use immediately. • my follow-up with your practice leaders between the workshop and the follow-up meeting to help ensure that their best intentions (voluntary action item) gets executed. You may have as many Practice Leader attendees participate as you wish together with any observers (executive committee members or internal professionals) although we will need to discuss the room format and logistics to ensure that things are properly orchestrated. Patrick McKenna will begin with a discussion of the evidence of why practicing together in a group can make a measurable difference to your law firm's quality, service, profitability, skills and professional morale, motivation and enthusiasm. - identifing the various options you have available to you and what you need to do, to develop personal credibility with the people you manage. When you bring together a group of lawyers who have different substantive skills, diverse experiences, a variety of work styles, and sometimes conflicting priorities, the process of managing the interactions can be challenging. - How to avoid personality clash and achieve instant rapport. - what kind of behavior we think we have the right to expect of each other. This session will equip practice leaders with the tools and techniques to explore with their group - what kind of group you want to be, what benefits you want to get, and whether you are prepared to do what it takes to truly be a team. If you were to ask your partners, "what benefits should we expect to get out of meeting together as a group?" the answers you elicit would fall into one of two categories. These partners would tell you that the benefit would either be to better share knowledge (on what everybody in the group was doing) and keep current (on new developments in our area and with clients) or secondly, the benefit of our meeting together would be to work on some joint projects as a team. And it is in this second category, doing joint projects, where most practice groups fail. Nowhere is the vitality of your team more visibly apparent than in the fundamental workings of practice group meetings. 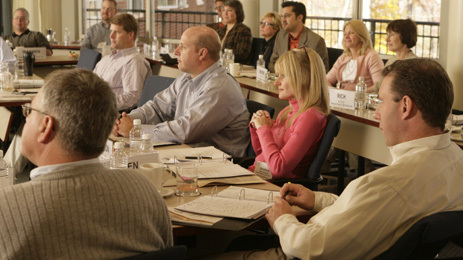 Since practice group meetings remain the principle vehicle for effective group action and the most visible aspect of the group's progress, they require that a practice leader adhere to some interrelated principles that together will help energize these meetings and make them far more effective. This session will focus on how to have your team working together on strategic projects, determine an action plan for moving the group forward, and a means for absolutely ensuring that best intentions actually get implemented. This concluding session is designed to summarize, synthesize, debate, question and answer any of your "real world" practice group management and leadership issues. As a group, we will determine and discuss coordination and leadership challenges. Department Chairs, and Practice / Industry Group Managers/Leaders (or those who feel like they are languishing) in firms who want to learn how to be effective in their roles, learn how to motivate their peers (even those professionals who may be more senior than you), and explore where to direct your limited and precious (non-billable leadership) time in order to maximize your investment.